Hey, what’s going on you guys, welcome to the Alex Branning podcast! I want to talk about 10X today. So 10X is a mindset shift, okay? Here’s what we’re doing with the 10X. 10X says, “Do what you need to do, whatever it takes to get the results that you need.”So, on my white board here I’ve got written down a revenue goal of $10,000. So, if your revenue goal is $10,000 for the month here’s how we apply the 10X principle. Assume that every customer is worth $1,000 of revenue. I’m using round numbers here to prove a point, okay. A single sale is $1,000, the number of appointments that you need to get a sale on average is three. Now it’s important to know your numbers, but in this case we’re assuming you close one out of three, so you need three appointments to get one customer. The number of leads that you need to get those three appointments is ten. Alright, again, we’re making the assumption you close a third of the leads to get to the appointment, out of the appointments you close a third of those. 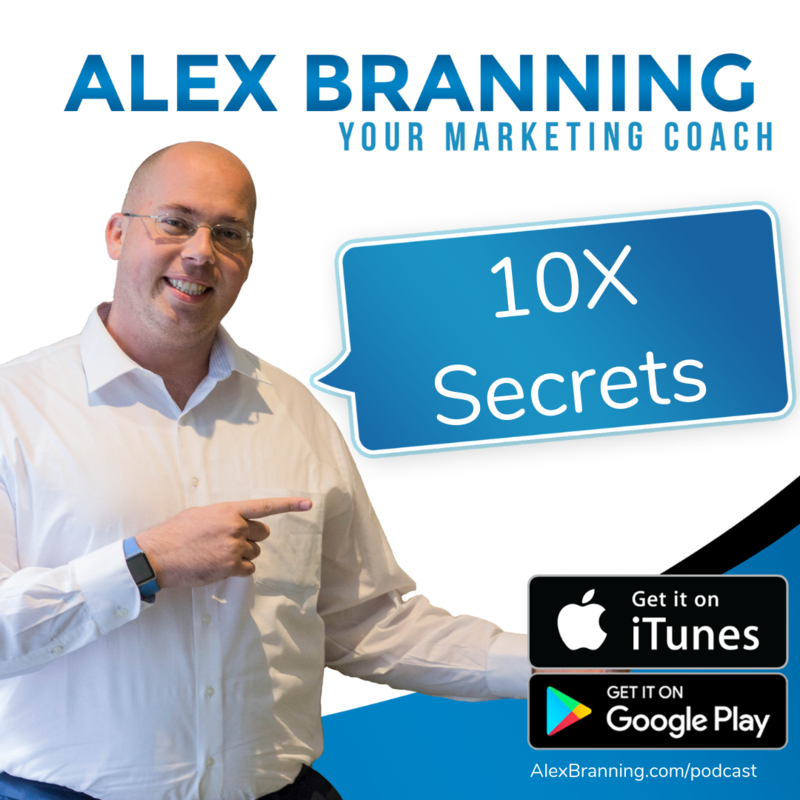 But what if you used the 10X principle, and you said, “Okay the number of leads I want to get this month is 1,000.” What just happened? In your mind you no longer went to trying to get- instead of going to get 100 leads for the month and making a plan to execute that, there’s nothing wrong with 100 leads in a month but, you start thinking small right? You’re like, “I could get five leads a day.” So those five leads are going to come from say a webinar, or you’re going to a physical meeting. The way that you execute is smaller when you need 100 leads compared to what you need when you need to get 1,000 leads, right? So, when you to 10X the number of leads that you need to get now you start playing bigger. Now maybe you start reaching out to power partners, now you start increasing your ad spend, you’re doing whatever it takes to get to 1,000 leads. Now what happens if you miss 1,000 leads and you only get 200? Well according to our whiteboard here, if you get 200 leads that means you’re going to get 60 appointments and, based on your numbers, 20 sales. 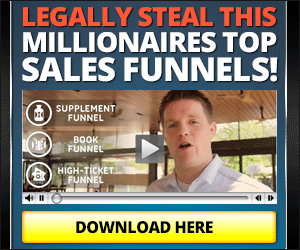 So you would get $20,000 in revenue because you played bigger on your lead generation. Does that make sense? You see how that 10X concept works? Now 10X is a great principle to use not just in lead generation and sales, but also in every aspect of business.If I know I’m looking to increase the number of my Instagram followers, I could do some cool stuff with ad spend, or I could just let the content bring them in, but what does that require? That requires more content, better content. My content’s really good, but I would need more content, so I would need to step up my game, probably hire another person on for my marketing team so that I could get more Instagram followers because right now the leads that I’m getting from Instagram they’re all organic, and they’re hot, they’re hot leads, they’re taking action and buying, which is really exciting. The way that I would approach my Instagram with a 10X principle is to say I want to increase the number of my followers. I have a little over 14,000 Instagram followers and it’s growing by about 100 or so a day, and if I said, “Okay if I want to increase that, and I want to start getting 1,000 more per day.” If I want to 10X my growth, what do I have to do? I have to put out a lot more content, right? I have to put out more content, I have to be more active, and so I would have to hire somebody, so they could execute on that level, but I would meet my goal though. My Instagram would blow up. Do you see how that works? 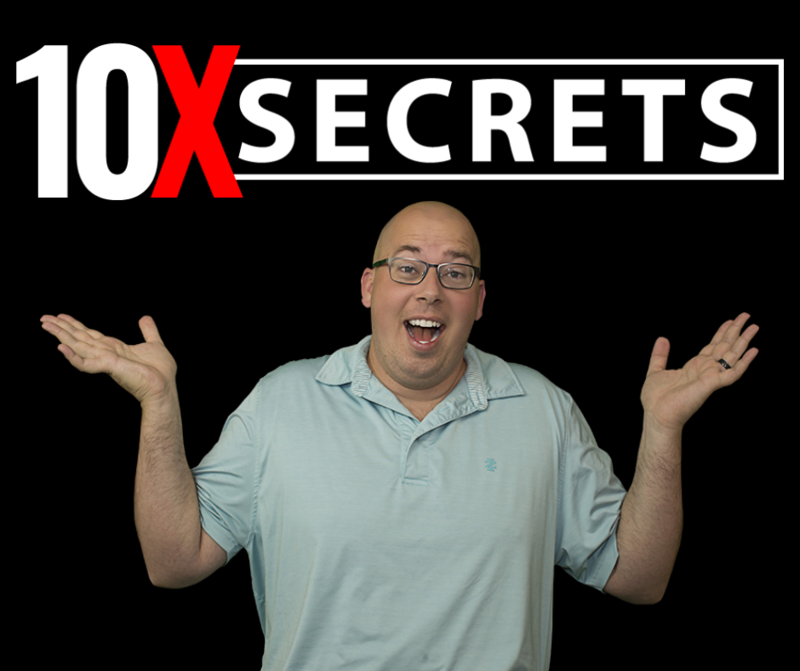 Now, let’s dive into the newest 10X thing that Russell Brunson just launched, 10X Secrets, what is that? So 10X Secrets is a new program that Russell Brunson that just put out and it’s related to webinars.For those of you who haven’t been following Russell, he went to Grant Cardone’s 10X Growth Con in February of this year and long story short, he was on stage for 90 minutes and he sold $3,000,000 worth of product in 90 minutes. Just an amazing, amazing experience. 10X Secrets, the program, walks you through his presentation, he’s got a lot of really cool stuff. The 10X Secrets master class, and if you go in here you can see the different modules inside of the 10X Secrets master class, really powerful stuff. I’ve got the power point, there’s just a lot of really good stuff in here all about how to write a webinar that sells. Why does that excite me? Well, most of my business comes from online presentations. Presentations by far are the best converting lead generation strategy for me. So, if my webinars can convert more then it’s going to make me really emboldened to spend more on lead generation. Which will bring more people in to my webinars if I know that they’re going to close better. So, the 10X Secrets is really focusing on changing this number here, right, number of appointments to sales because right now a webinar is different than a one to one appointment. If I can get 20 people in a webinar I can generate one sale. What if I was able to get it instead of 20:1, what if I was able to cut it in half and make it 10:1? Well my webinars would instantly double in profitability, I could spend a lot more money sending people to the webinar, it would just change the game, right. Same thing when it comes to your relationships, same thing when it comes to your spiritual health. It’s not about doing the bare minimum to reach your bare minimum goal, it’s about setting a much higher goal because your goals dictate your actions, and you actions change your habits.If you want the very best for yourself you’ve got to step it up a little bit, you’ve got to step it up and 10X the things you can control. So, we got him 100 leads and guess what? He closed one, he’s working on a couple more right now. That $1,000 investment that he paid off to me has already netted him over $7,000 in commissions from the single transaction, so congratulations to him. What happened there? Why was that successful? Why was I so confident that it was going to work? Because I 10X’d the number of leads. 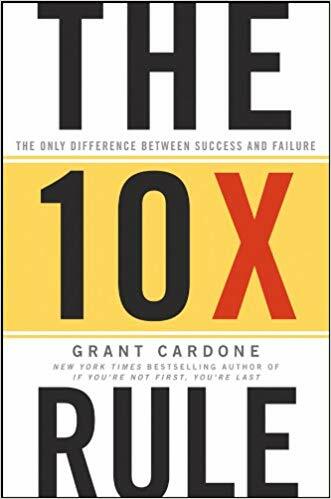 I applied the 10X principle, we 5X’d the number of leads that he said we would need to do that, but I was so confident it was going to work and that he was going to get a return on his investment. Hope this inspired you. I would love it if you would go and review my podcast. Thanks you guys!